It's beginning to look like... Halloween! Happy Friday friends :) I'm linking up again with Christina, Darci, April and Natasha for some fall festiveness today! 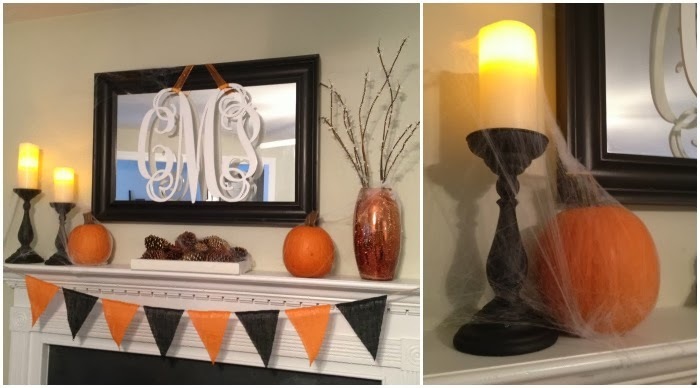 I've shared some Fall decor here and here, but since September flew by so quickly, I never really got a chance to share the rest! Now that its October, I'm in the process of bringing out the Halloween decor. To be honest, I've never really decorated with all of the creepy decor like witches, skeletons, and such, but this year I'm making at attempt at it as long as I can keep it cheap. That is where the Dollar Store came in handy. We're in the process of making some DIY tombstones with leftover plywood (Steve's idea) and putting lights up on the tree outside, so I'll share that with you as soon as its ready! Until then, here are my favorite areas of the house looking all festive and such! We're headed off to the pumpkin patch this weekend so I'll have a few more pumpkins to use outside (and carve!). And yes, I have almost killed the mums you see in that picture. I thought about buying another bigger version but whats the point when I just kill all of the plants anyway? Birds and netting from Dollar Store. Subway Art printable here. Pillow. 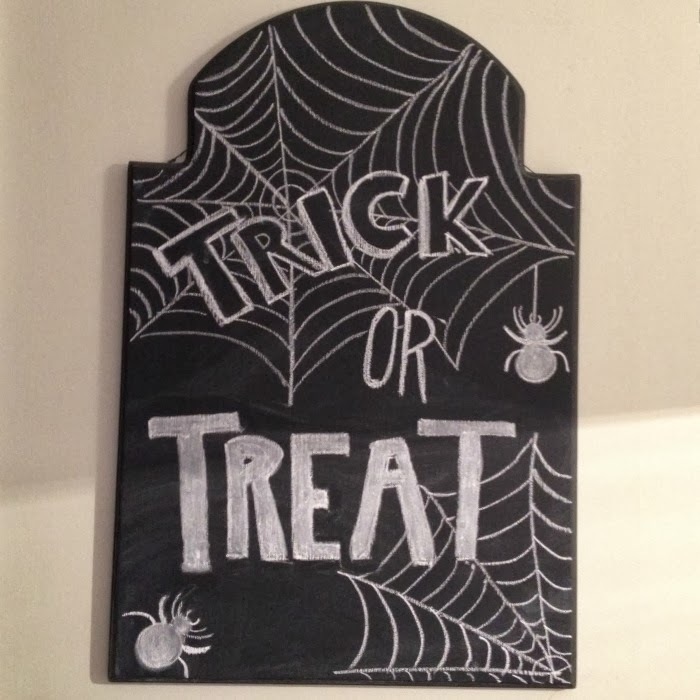 Sometimes I think I'm getting good at free-handing these signs, but I think I may redo the "treat" part! Five: Even Ruby has her momma's festive gene! Just kidding, she hates this placemat. She actually makes a point to grab her food from her bowl, set it down on the floor next to the placemat, and then she eats it. ha! Tonight its date night with the hubs and Hocus Pocus time! I'm pretty excited to eat some of Target's Halloween marshmallows and drink my pumpkin beer. Anyone else have any fall-related plans this weekend? I love your Raven with the netting! Looks really good! the monogram pumpkin looks SOOO good! as does everything else!!! lovely, lovely decorating, girlie!! Thank you so much!! You're too sweet! love the mat for her bowls! I should do the same for Emma- she's in this phase where she likes to get a mouthful, spit it out on the floor NEXT to the bowl and then eat it... She's special haha Have a great weekend! Your house looks so good!! Please come over to my house and decorate it for me! I just haven't had any time, ugh! That's so funny that Ruby won't eat off the Halloween mat! Dogs are so silly sometimes! Have a great weekend girl! Thank you!! And thanks for letting me know I'm not the only plant killer! I finally gave up on it this weekend... haha! Oh my goodness, all of the Halloween touches look so good! We are HUGE Halloween nuts and I just love decorating for it :) Have a great weekend! 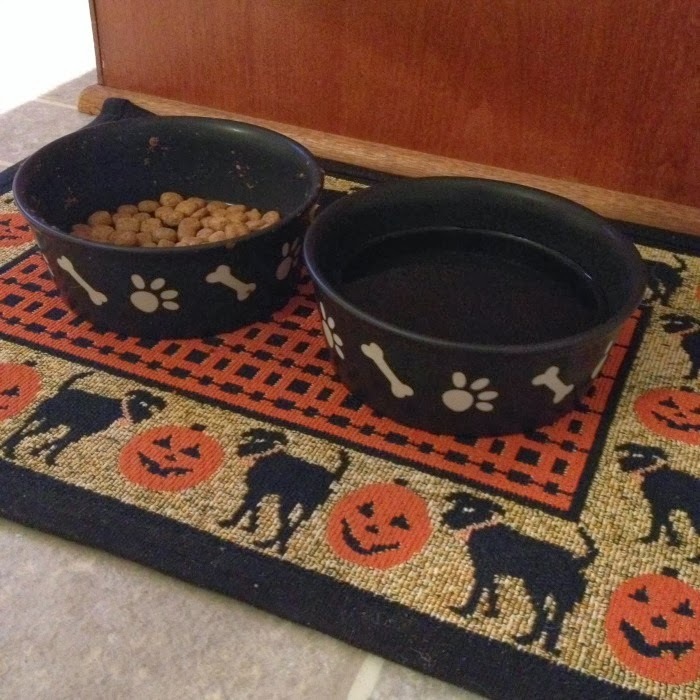 Your fall/halloween decor looks great and I love that you decorated for your pup, too! Have a great weekend. Your house looks so festive!! 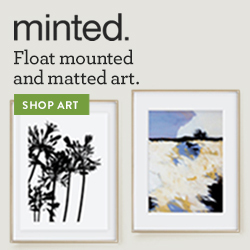 Especially love your mantel with that giant mono! Your house looks so fun and festive! 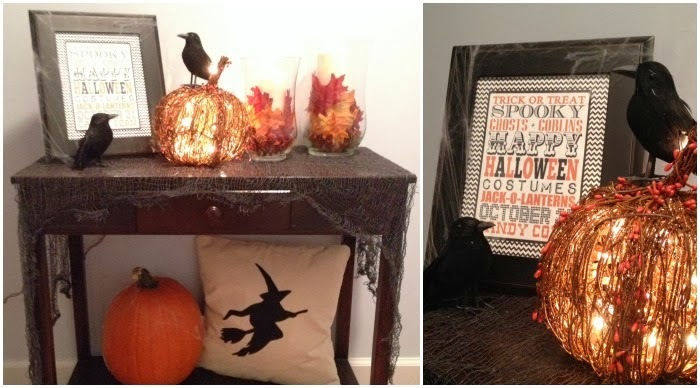 I am such a bore and haven't done any fall decorating! That adorable banner is also being showcased in my home thanks to you!! Love all the décor. I don't really decorate for Halloween aside from pumpkins and such. But I think after the holiday is over I too will stock up for next year! 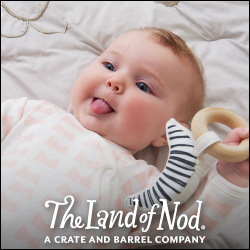 Everything is soooo adorable!!! I wish I had your chalkboard skills. Love all of your Halloween decorations!! I really need to make a monogram pumpkin soon!! 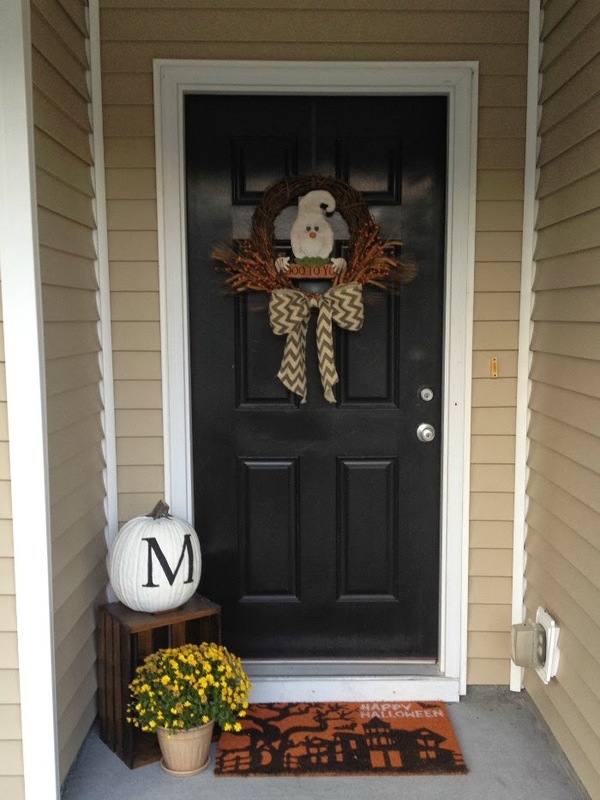 I love your monogrammed pumpkin - so chic!